2007 and is a scholar and visual artist/animator. Barely a century has passed since anime (Japanese animation) was first screened to a Western audience. Over time the number of anime genres and generic hybrids have significantly grown. These have been influenced and inspired by various historical and cultural phenomena, one of which, Japanese native religion and spirituality, this book argues is an important and dominant although Buddhism, Christianity and a range of mythologies also feature. There have always been anime lovers in the West, but today that number is growing exponentially, with numerous anime clubs, festivals and related events been organised the world over. This is intriguing as many Japanese anime directors and studios initially created works that were not aimed at a Western audience at all. A passion for anime has led some fans, or aficionados as they are referred to in this book, to make personal translations of anime, to don the costume of beloved characters, and to undertake anime ‘pilgrimages’. The mutual imbrication of the profane and sacred worlds in anime, along with the profound reciprocal relationship between ‘Eastern’ (Japanese) and ‘Western’ (chiefly American) culture in the development of the anime artistic form, form the twin narrative arcs of the book. One of the most significant contributions of this book is the analysis of the employment of spiritual and religious motifs by directors. The reception of this content by fans is also examined. The appeal of anime to aficionados is, broadly speaking, the appeal of the spiritual in a post-religious world, in which personal identity and meaning in life may be crafted from popular cultural texts which offer an immersive and enchanting experience that, for many in the modern world, is more thrilling and authentic than ‘real life’. In the past, religions posited that after human existence on earth had ceased, the individual soul would be reincarnated again, or perhaps would reside in heaven. In the early twenty-first century, spiritual seekers still desire a life beyond that of everyday reality ardently, and just as passionately believe in the existence of other worlds and the afterlife. However, the other worlds are the fantasy landscapes and outer space settings of anime (and other popular cultural forms), and the afterlife of digital circuitry and the electronic impulses of the Internet. These important new understandings of religion and the spiritual underpin anime’s status as a major site of new religious and spiritual inspiration in the West, and indeed, the world. This study is a timely publication, both as a resource for anime fans new and existing, young and old, who desire to know more about the religion and mythology of Japan and how it informs anime (and manga), and as a worthy addition to the small but growing academic literature on the topic. Barely a century has passed since anime (Japanese animation) was first screened to a Western audience. Over time the number of anime genres and generic hybrids have significantly grown. 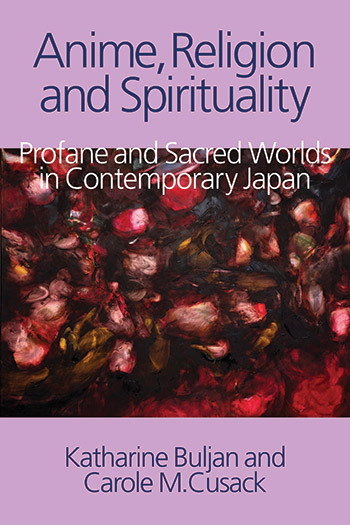 These have been influenced and inspired by various historical and cultural phenomena, one of which, Japanese native religion and spirituality, this book argues is an important and dominant although Buddhism, Christianity and a range of mythologies also feature. There have always been anime lovers in the West, but today that number is growing exponentially, with numerous anime clubs, festivals and related events been organised the world over. This is intriguing as many Japanese anime directors and studios initially created works that were not aimed at a Western audience at all. A passion for anime has led some fans, or aficionados as they are referred to in this book, to make personal translations of anime, to don the costume of beloved characters, and to undertake anime ‘pilgrimages’. The mutual imbrication of the profane and sacred worlds in anime, along with the profound reciprocal relationship between ‘Eastern’ (Japanese) and ‘Western’ (chiefly American) culture in the development of the anime artistic form, form the twin narrative arcs of the book. One of the most significant contributions of this book is the analysis of the employment of spiritual and religious motifs by directors. The reception of this content by fans is also examined. The appeal of anime to aficionados is, broadly speaking, the appeal of the spiritual in a post-religious world, in which personal identity and meaning in life may be crafted from popular cultural texts which offer an immersive and enchanting experience that, for many in the modern world, is more thrilling and authentic than ‘real life’. In the past, religions posited that after human existence on earth had ceased, the individual soul would be reincarnated again, or perhaps would reside in heaven. In the early twenty-first century, spiritual seekers still desire a life beyond that of everyday reality ardently, and just as passionately believe in the existence of other worlds and the afterlife. However, the other worlds are the fantasy landscapes and outer space settings of anime (and other popular cultural forms), and the afterlife the digital circuitry and electronic impulses of the Internet. These important new understandings of religion and the spiritual underpin anime’s status as a major site of new religious and spiritual inspiration in the West, and indeed, the world. This study is a timely publication, both as a resource for anime fans new and existing, young and old, who desire to know more about the religion and mythology of Japan and how it informs anime (and manga), and as a worthy addition to the small but growing academic literature on the topic. Barely a century has passed since anime (Japanese animation) was first screened to a Western audience. Over time the number of anime genres and generic hybrids have significantly grown. These have been influenced and inspired by various historical and cultural phenomena, one of which, Japanese native religion and spirituality, this book argues is an important and dominant although Buddhism, Christianity and a range of mythologies also feature. There have always been anime lovers in the West, but today that number is growing exponentially, with numerous anime clubs, festivals and related events been organised the world over. This is intriguing as many Japanese anime directors and studios initially created works that were not aimed at a Western audience at all. A passion for anime has led some fans, or aficionados as they are referred to in this book, to make personal translations of anime, to don the costume of beloved characters, and to undertake anime ‘pilgrimages’. The mutual imbrication of the profane and sacred worlds in anime, along with the profound reciprocal relationship between ‘Eastern’ (Japanese) and ‘Western’ (chiefly American) culture in the development of the anime artistic form, form the twin narrative arcs of the book. One of the most significant contributions of this book is the analysis of the employment of spiritual and religious motifs by directors. The reception of this content by fans is also examined. The appeal of anime to aficionados is, broadly speaking, the appeal of the spiritual in a post-religious world, in which personal identity and meaning in life may be crafted from popular cultural texts which offer an immersive and enchanting experience that, for many in the modern world, is more thrilling and authentic than ‘real life’. In the past, religions posited that after human existence on earth had ceased, the individual soul would be reincarnated again, or perhaps would reside in heaven. In the early twenty-first century, spiritual seekers still desire a life beyond that of everyday reality ardently, and just as passionately believe in the existence of other worlds and the afterlife. However, the other worlds are the fantasy landscapes and outer space settings of anime (and other popular cultural forms), and the afterlife of digital circuitry and the electronic impulses of the Internet. These important new understandings of religion and the spiritual underpin anime’s status as a major site of new religious and spiritual inspiration in the West, and indeed, the world. This study is a timely publication, both as a resource for anime fans new and existing, young and old, who desire to know more about the religion and mythology of Japan and how it informs anime (and manga), and as a worthy addition to the small but growing academic literature on the topic. This chapter examines the emergence of the manga and anime forms in terms of the historical development of Japanese artistic modes that are antecedent to these forms, and also through consideration of the development of Japanese modernity. It is argued that the manga and anime forms and Japanese modernity both retain traditional Eastern religious and aesthetic concerns, while freely appropriating Western religious and aesthetic motifs, which results in a unique new cultural synthesis that is equally appealing to Eastern and Western audiences. The intention of this chapter is to demonstrate that the earliest precursors of manga are a number of centuries old and that manga, and thus anime, is deeply embedded in the history of Japanese art, religion and life, as highlighted in certain studies. This interpretation is important in that it offers an alternative to the claim that the origins of the comic book aesthetic are European, and that the influence of Walt Disney (1901–1966) on early manga illustrators is more important than their Japanese forebears. The religious and spiritual content of anime is one of its remarkable qualities, as in the West it is not common for popular cultural forms to be so saturated with the religious and the spiritual. This chapter has four distinct sections. First, it discusses the role and function of religion in Japanese society, and analyses the complex historical dynamic existing between Shinto and Buddhism, giving greater attention to Shinto as the religious tradition that has contributed most substantially to anime. Second, it considers the Western conceptual categories of animism and anthropomorphism as tools of analysis in the identification of religious and spiritual motifs in anime. The third section examines human to animal and animal to human metamorphosis in Japanese folklore, and the role of magical animals in general and their treatment in anime. The final section identifies supernatural themes and motifs in anime (for example types of spirit beings, animal transformations, and issues of life, death and afterlife) and traces their connections with Shinto, Buddhism, and to a lesser extent, the minority traditions of Christianity and new religions (shin shūkyō) in Japan. This chapter focuses on anime genres, arguing that these provide a fertile basis from which sprang numerous generic hybrids. They became the norm in anime, with the potential to appeal to various types of audience. The power assigned to female heroines is also investigated and it is argued that rather than reflecting the power of Amaterasu, the Shinto Goddess, their power more resembles Western Pagan ideas about the sacredness of the earth and Gaia as nature Goddess. In this chapter we further underline how the generic conventions of the supernatural subgenre permeate a large number of anime films and series, stressing that conventions of this subgenre are also often found in generic hybrids whose dominant themes do not necessarily fit with the supernatural subgenre (and thus, in that context they have various metaphorical functions). This chapter also analyses the child/young adult anime protagonist in terms of the mythological ‘divine child’ as a mediator between the supernatural and physical worlds. Chapter 3 argues for the strength of the supernatural. Some anime aficionados can rightly be called ‘devotees’ as they manifest a deep, almost religious, devotion to anime in various ways. They seek to make personal connections with events and characters of anime stories through visits to anime conventions, the performance activity cosplay (‘costume play’), and travel to cities, towns and natural sites in Japan that are featured in anime. 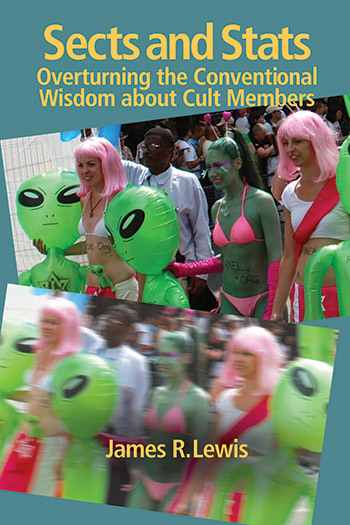 It is clear that these fan phenomena are not unique to anime or only observable in Japan, as over the last twenty years there has been a small but growing body of scholarship produced that deals with both Western fan behaviours and the possible religio-spiritual motivations and benefits of these individual and communal activities. This chapter will draw upon these studies, particular those focused on the fan community attached to Gene Roddenberry’s cult American television and film series Star Trek (debuted 1965), to establish a framework for interpreting anime fandom, in addition to specific studies of anime aficionados. The purpose of this chapter is to investigate the intense, almost religious, nature of anime aficionados’ close relationship to the object of their devotion, anime. An insightful piece of research that addresses the complexity of the proposed topic from a useful historical and transcultural perspective. This is recommended reading for those interested in both Japanese animation and a heterodox approach to religious studies. The book is a good concise survey of anime in Japan and beyond, and it definitely encourages us to take such popular culture works seriously and to question the supposed barrier between serious 'otherworldly' culture like 'religion' and everyday, even superficially frivolous productions like still and animated cartoons. Religion, anthropologists understand, does not only dwell in churches or other official religious spaces, and there are no sharp and impermeable lines between the various domains of culture. Opens the door for scholars interested in the connections between religion and anime, and helps to define the field of religion and popular culture to consider elements of popular culture once dismissed. This is a very good book that explores an enormous number of anime and provides a useful overview of how anime’s fun-filled fantasy format appeals to modern sensibilities. I have test-marketed this book in my courses on Japanese religious life, and found it both accessible and interesting reading for undergraduates. The book opens the door for scholars who are interested in the connections between spiritual and religious traditions and the development of anime and manga in Japan. 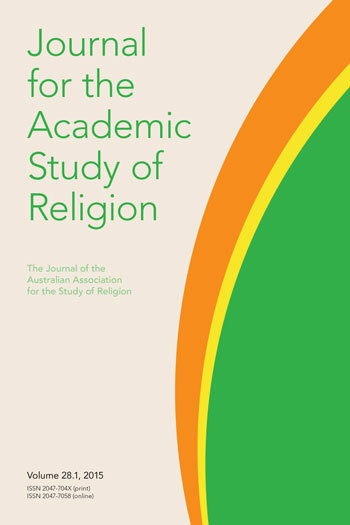 The reader can gain a greater understanding of how the verisimilitude of religion and fictive worlds helps to create temporary or lasting perceptions of reality with associated beliefs and practices among audiences.